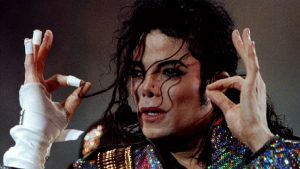 The estate of Michael Jackson is suing HBO for what could amount to more than $100 million worth of damages, according to the lawsuit filed on Thursday. The network is set to broadcast a documentary next month where two men claim they were sexually abused by the late singer starting from when they were seven and 10 years old. The documentary – titled Leaving Neverland – already premiered at the Sundance festival last month. The singer’s family then called it a ‘public lynching’ and maintain he was “100% innocent”. Jackson died in 2009 and was acquitted of charges in a similar case in 2005. The lawsuit doesn’t aim to prevent the documentary from airing, but it does say it violates a contract signed with the network in 1992. It allowed HBO to air Jackson’s Dangerous world tour, but it included a clause that the channel would not disparage the singer then or any time in the future. An attorney for the Jackson estate said this “one-sided marathon of unvetted propaganda” is in breach of that agreement. HBO said on Thursday their plans to broadcast the film remain unchanged. It’s due to go out over two parts on March 3 and 4. The post Michael Jackson’s estate sues HBO over new film appeared first on SABC News – Breaking news, special reports, world, business, sport coverage of all South African current events. Africa's news leader..